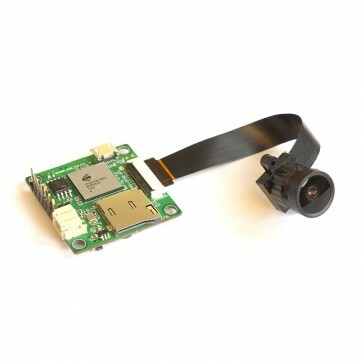 Speical designed FPV Camera, with WDR AV output for Video transmitter and record HD video(1080P 60FPS) on SD Card. Controller board using 30.5x30.5mm standard mounting holes, Lens/Sensor could be exchanged when defect. Wide angle (145degree) Lens and OV4689 1/3 CMOS Sensor（4M）incl. This is Beta Test Version, the firmware MAY update in the future to offer more functions or bug FIX. Firmware could be upgraded over SD card.